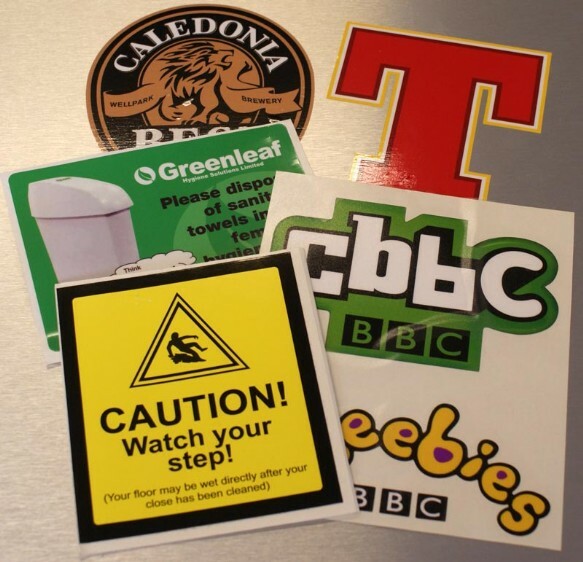 All our vinyl is produced in-house at our Glasgow factory, using a state of the art solvent based digital printing press and contour cutter. we offer many different types of laminates from high gloss, matt, Crystal and textured. Contour Cutting can be applied to the vinyl print meaning each item is peeled off individually. Contour cuts can follow the object outline or cut out of a simple shape to any size. lamination available at extra cost. Minimum order 1 linear metre.